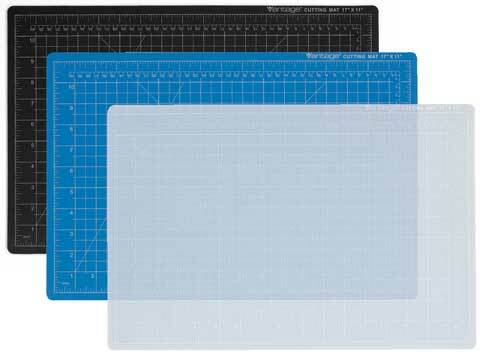 Top quality cutting mats with five layer construction for a full 3mm thickness that ensures durability and long life. Self-healing on both sides. A half inch grid pattern on the top side also contains angle cut guides, and both inch and metric scales. Available in colors or practically clear translucent, unequaled in clarity.